Today was a landmark in family history: Sam's first time ever riding a city bus. Yes, that's right, my toddler has ridden the bus more than my husband, and that does not include in utero. 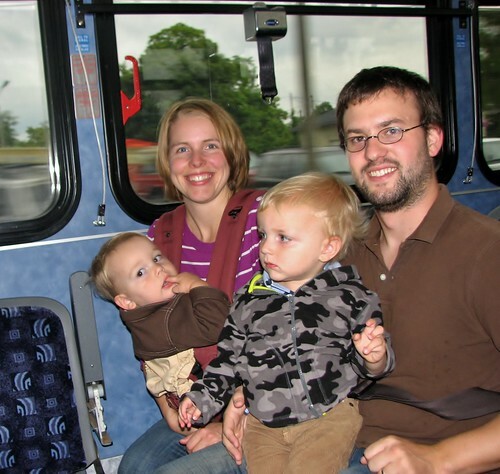 Since Ian is with us for the weekend, he got to have his first bus ride too! Coincidentally there were some kids that I knew on the bus who agreed to take our picture in honor of this momentous occasion. They did not make fun of us until after we were already gone, which I thought was very polite of them.